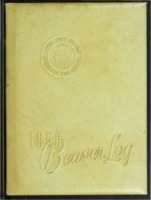 1950 Buena Vista College yearbook contains a record of the year's activities. 1949 Buena Vista College yearbook contains a record of the year's activities. 1948 Buena Vista College yearbook contains a record of the year's activities. 1947 Buena Vista College yearbook contains a record of the year's activities. 1937 Buena Vista College yearbook contains a record of the year's activities. 1934 Buena Vista College yearbook contains a record of the year's activities. 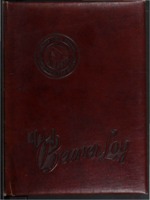 1933 Buena Vista College yearbook contains a record of the year's activities. 1932 Buena Vista College yearbook contains a record of the year's activities. 1931 Buena Vista College yearbook contains a record of the year's activities. 1930 Buena Vista College yearbook contains a record of the year's activities.